Will Sweden get a new energy policy with its new government? 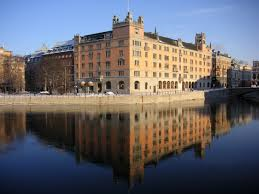 Sweden will now change its government and for Aleklett’s Energy Mix, with its focus on energy, the question is what change we can expect regarding Sweden’s energy policy. But first let’s look at the energy decisions that the outgoing government leaves us with. They have decided that Sweden’s 10 nuclear reactors will continue in use for as long as they can be operated safely and, if industry wishes to invest in new nuclear reactors to replace them, then that will also be possible. At the same time they have invested in a large expansion of wind power. That means that, together with our nuclear and hydroelectricity generation, Sweden will now produce excess electricity when the wind is blowing. So we will export the subsidised electricity to Germany and other nations. The outgoing government has also established as a goal that Sweden’s vehicle fleet will be independent of fossil fuels by 2030, an aim that was accepted by parliament in 2009. One result of this is that there are now large subsidies for electric cars. The planned high speed trains are also an environmental investment. Despite these policies the government was criticised during the election debate for making insufficient investment in the environment. On the negative side is of cause also the fact that government-owned Vattenfall is investing in brown coal in Germany. Sweden’s international ranking in terms of CO2 emissions per capita is good. It is interesting to note that China has now surpassed Sweden in emissions per capita (see the ranking). It looks as though the new government will be a minority government comprised of the Social Democrats and the Greens. The Greens want to close down two of the nuclear reactors during the next four years while the Social Democrats are against this. However, these parties can certainly agree on other investments in renewable energy. The Greens want to raise the level of taxation on gasoline fairly dramatically and the Social Democrats also object to that. Regarding Peak Oil it is interesting to note that it is these two parties of the new government that have accepted the concept. As far back as 2005 the then Social Democratic Prime Minister Göran Persson said, “Is oil possibly running out? There is someone here in Uppsala named Aleklett who claiming so.” Göran Persson established the Oil Commission and I hope that incoming Prime Minister Stefan Löfven will continue where Persson left off. Sweden has no problem in producing carbon-free electricity in future. The problem is development of carbon-free vehicle fuel. Electricity for electric cars is only a limited element of this. The Greens and principally Per Bolund have invited me to give a presentation on Peak Oil. Per Bolun, may be a new Minister, has also made an interpellation about Peak Oil in parliament. The symposium on Peak Oil that was organized by The Greens can be viewed on YouTube. My hope is naturally that the new government will declare that we have limited access to oil in future and that Sweden must adapt itself to that fact. For me it is important that we now make a significant investment in making our agriculture self-sufficient in biogas production. This is much more important than subsidising wind power. In future, the price of gasoline will certainly rise by more than the suggested increase in fuel tax so I do not believe that the tax will be needed in order to get us to travel less. In a few months it may be time to write a debate article and I would be happy to receive suggestions for important issues regarding the transport sector. ← Får Sverige en ny energipolitik med den nya regeringen?